Hospitals throughout America are turning to robotic surgeries. Despite a two million dollar price tag, hospital administrators strive to claim the most up-to-date technology and join the trend. Unfortunately, some physicians may not keep up with the steep learning curve of robotic surgery. Some may overestimate their robotics knowledge and cause errors during surgery that result in significant injuries. These mistakes should not be at your expense. If you feel your physician has made an error during your surgery, consider a robotic surgery attorney in Seattle, WA to represent your case. Our qualified lawyers can help you gather the information necessary to create a compelling case at court. Feel confident knowing you have a qualified attorney representing you. The FDA has approved only one robotic surgery equipment that can handle applying appropriate pressure during surgery. Most robotic equipment has yet to respond to “haptic feedback,” which means feeling tissue texture and knowing the amount of pressure to apply. 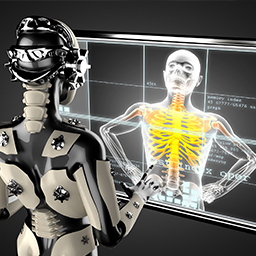 While a human physician moves the robotic arm to perform a surgery, he or she can’t get a proper view of the operation site. Instead, the physician operates from a remote site, relying on a video screen rather than feeling the pressure exerted by his or her hands. Even while the skillful robotic arm applies precise cuts, most robots have difficulty applying the right amount of pressure to repair an injury. With these difficulties, it’s not surprising that a robotic surgery can result in complications. Robotic surgery attorneys in Seattle, WA can help you determine if your surgery caused further injury. Some hospitals have routinely performed these and other robotic surgeries. This approach could result in significant injuries that general surgeons have to fix later. If you want representation after a robotic surgery, call us at 206.842.1001 for a free consultation.